How much time do you need to see Iceland? 24 Iceland attractions: Is that all? 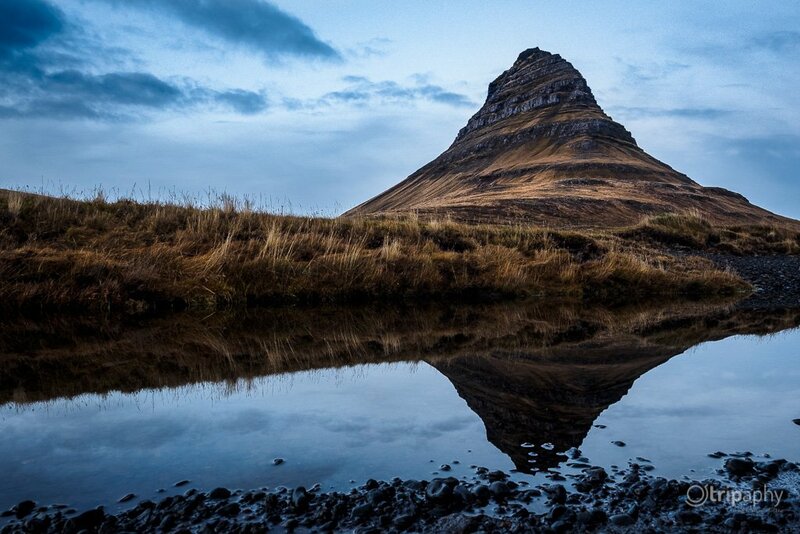 This guest post will help you discover the better and lesser-known highlights on your trip to Iceland and show you the country's beautiful hidden gems. Hi! 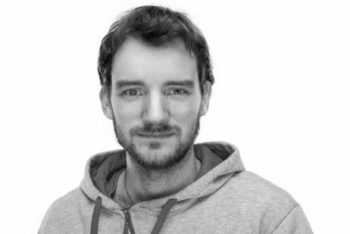 My name is Niklas Möller. I’m a photographer with a passion for travel photography and I’ll take you with me on a trip into the world of photography on my blog Tripaphy (German). For three months, I traveled through Iceland and discovered a few spots that often get lost in the shadows of the typical highlights. I want to tell you about some of them today. First of all, I’d like to introduce you to my personal hidden gems for Iceland that you won’t find in every travel guide and then I’ll turn to the more famous sights. 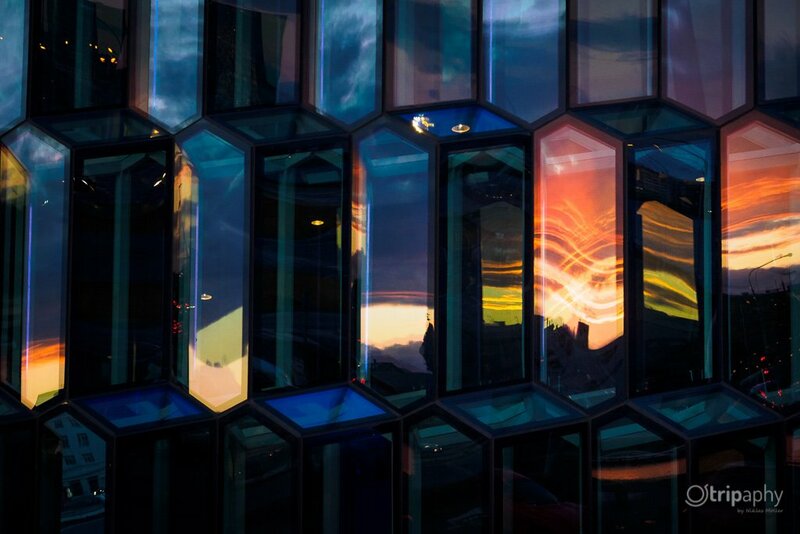 You’ll probably start your journey in Reykjavík, the capital of Iceland. Let’s imagine you’re going on a road trip. You want to travel the Ring Road all around Iceland in a clockwise direction. You’ll be making a lot of stops along the way and checking off all the well-known sights, which I’ll also be presenting at the end of the post. 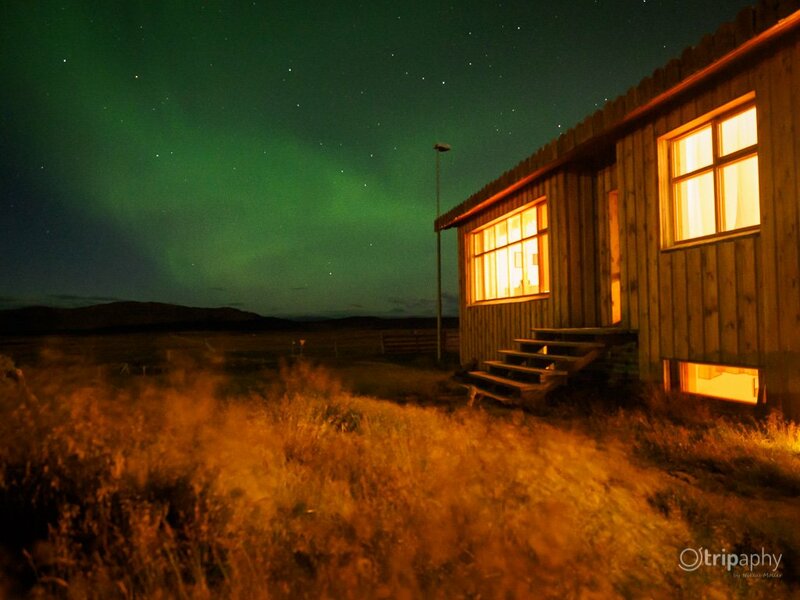 But Iceland has a lot more to offer than the typical highlights. Lucky for you, you found this article before embarking on your trip, otherwise you probably would have missed the following sights. You’ll reach your first stop before you even leave the capital. 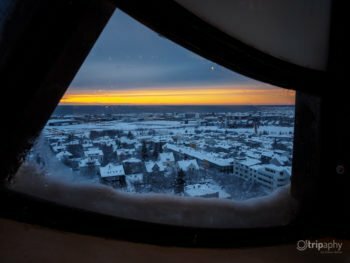 Not many people know that the Hallgrímskirkja church tower in Reykjavík is open to the public. 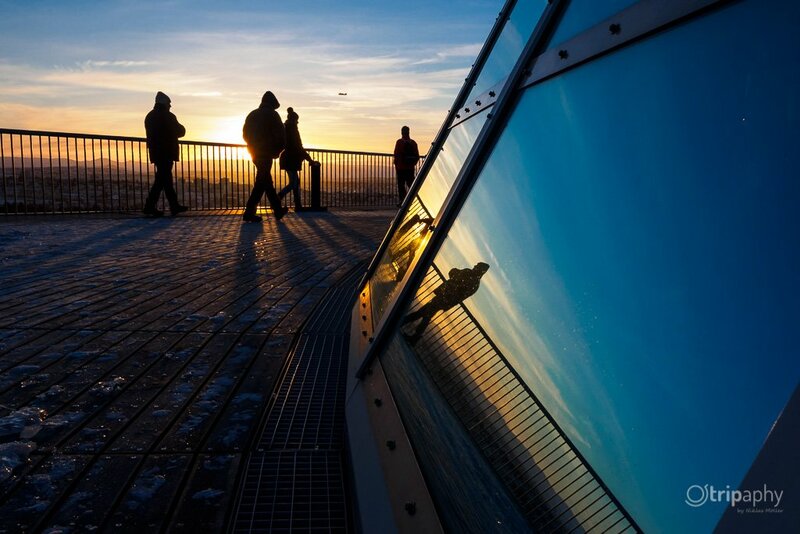 You can take an elevator to the top and enjoy a perfect view of the city – in every direction. The tower is a great place to take some bird’s eye view pictures of the city. 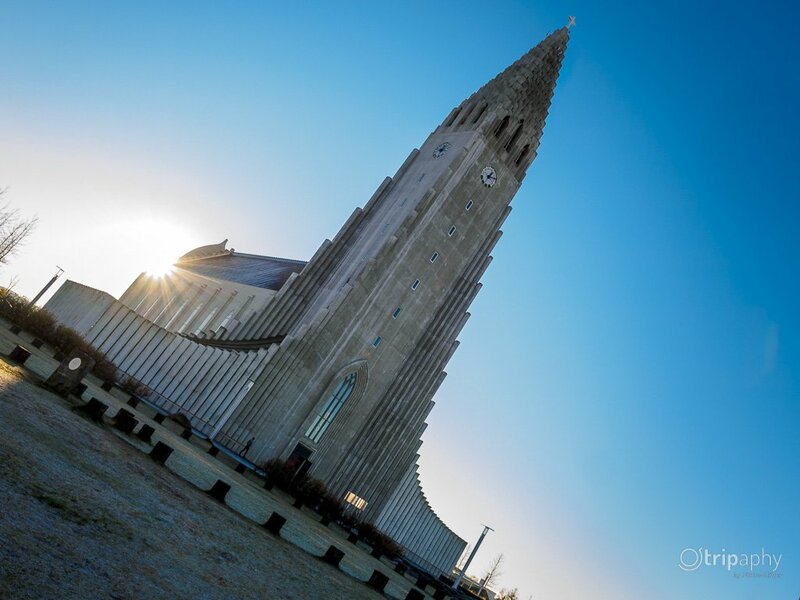 If you’re wondering about the architecture of the church: Its design was inspired by the basalt cliffs that you’ll see all around Iceland. Exterior view of Hallgrímskirkja – The lower sections of the clock are windows. One floor higher will give you an excellent view of the city. You can also take some great photos from inside the tower, protected from the wind and weather. After a first bout of sightseeing in Reykjavík, it’s time to head on to Snaefelsness. Stykkishólmur is a good place to spend the first night. You’ll find good and reasonably priced accommodation there, such as the Hótel Fransiskus Stykkishólmi. The little port town has a highlight that often gets overlooked: its lighthouse. You can enter the lighthouse via a staircase on the harbor-facing side of the mountain. The view from the top lays bare the stunning beauty of the landscape and the town. My tip: Keep an eye on your camera if you put it on a tripod: It can get very windy up there. The wind knocked over my tripod and damaged a lens. 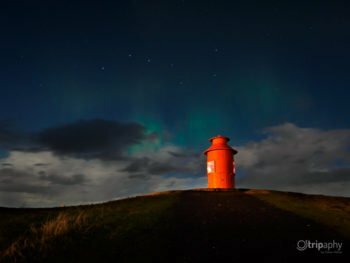 With the city behind you, you can also take some great pictures of the northern lights at Stykkishólmur lighthouse. The first northern light timidly emerges in the Stykkishólmur night sky. The lighthouse is also worth a visit during the daytime. Leaving Snaefelsness, the next step of your journey will take you past Akueryri via the Westfjords to the region of Mývatn. The Viti crater lake with its turquoise blue color isn’t exactly a well-kept secret. Most people make a quick stop, take a few pictures, and continue on their way. The real hidden gem is the view from the other side of the crater. Because the crater lake has an equally colorful brother hiding behind it. But you can only see it from the hill between the two craters or from the other side of the Viti crater. You can see the second crater from behind the Viti crater. After Viti, the next leg of your journey is Detifoss, the most powerful waterfall in Iceland, if not all of Europe, located in the east of Mývatn. 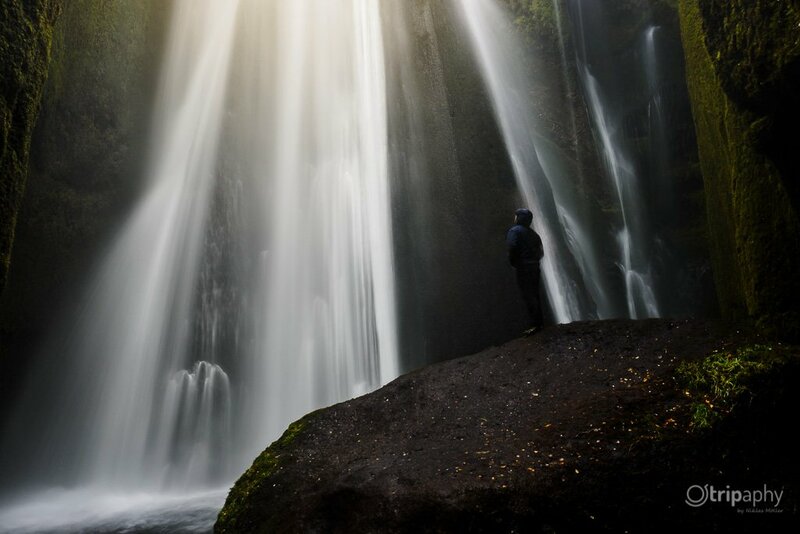 The same canyon is also home to another beautiful waterfall, known as Hafragilsfoss. If you take the road to the east of the canyon, you’ll get a good view of the waterfall and the entire valley that the river passes through – not the most impressive waterfall, but a very impressive view. Hafragilsfoss might not be the most impressive waterfall, but the view of it is all the more impressive. After a day in Mývatn, the farm with the beautiful name of Fjalladyrd is a good place to spend the night. 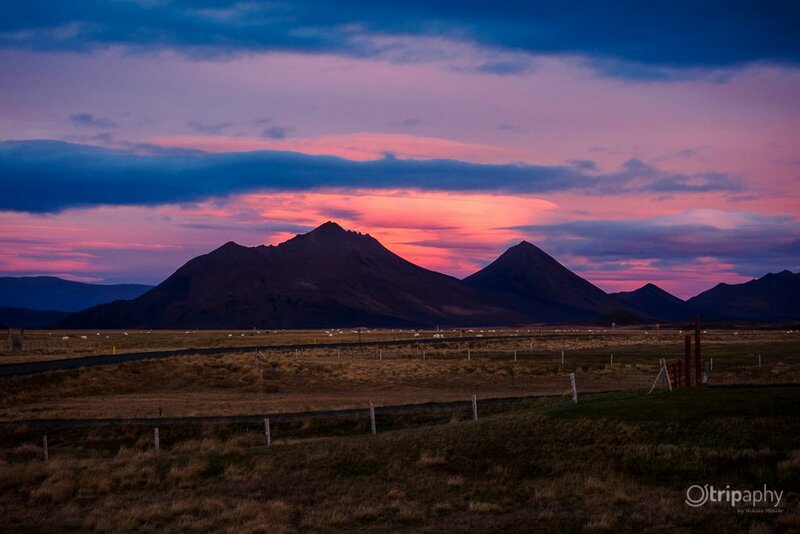 As I was told and then saw for myself: The farm offers the most beautiful sunsets and sunrises in all of Iceland. In all my time in Iceland, I rarely experienced such intense colors. 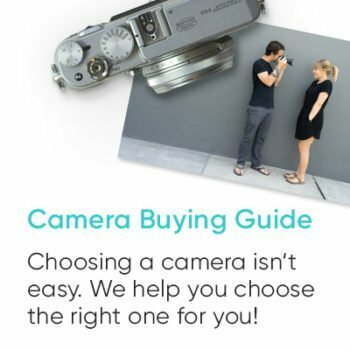 An absolute must for taking pictures. The farm is far from the light-polluted areas. The landscape around the farm is vast and surrounded by mountains, making it a perfect place to observe the northern lights. There are no lights far and wide other than those of the farm. One of the most beautiful sunrises I saw during my time in Iceland. We saw the first northern lights at the farm and I took one of my favorite pictures. Your journey continues along the Ring Road in the east of Iceland towards Vík, past all the famous highlights at the Vatnajökull National Park. Half an hour before Vík, follow the sign to “Fjaðrárgljúfur”. The first time I parked by the valley with the unpronounceable name was a coincidence. We were actually looking for the nearby lava field. A visitor at the parking lot told us that there was “just a valley with a river” behind the hill. Since it was raining, we almost drove off again. Lucky for us, we stayed, because the view is really impressive and well worth a detour. If you call this view “just a valley with a river”, then nothing can impress you. 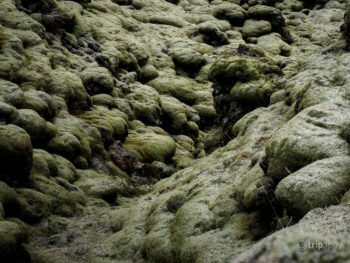 After leaving the valley with the river, follow the road for a few minutes until you reach one of the most beautiful lava fields in Iceland. From the parking lot, just follow the short path, and soon you’ll be standing in the middle of the spherical waves of the lava field. If you pause for a moment, you can almost feel the lava moving around you. 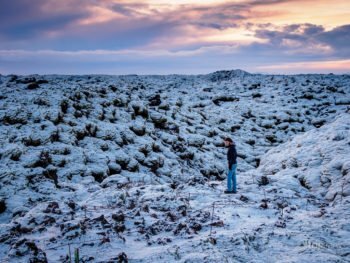 Just please don’t follow in Justin Bieber’s footsteps and roll around carelessly on these lava fields or leave the excellent paths. That’s disrespectful of the very sensitive landscape and absolutely unnecessary. It’s my personal opinion that conservation should always take precedence over the chance to take a picture that’s ‘different from all the others’. Which doesn’t mean it’s any better, by the way. But I digress. Let’s push on! The bubble shape makes this lava field especially interesting. One of the few lava fields where you’re allowed to walk right through the field. After a quick stop in Vík with its black beaches, your journey continues towards the famous Seljalandsfoss waterfall. In the shadow of its popularity, its brother Gljúfrafoss often gets forgotten. The special thing about Gljúfrafoss: The waterfall is located in a semi-open cave. If you venture carefully into the cave along the riverbank, you’ll be treated to a very special waterfall. The only one more impressive is Bruarfoss, which I’ll get to later on in the post. Gljúfrafoss is hidden in a crevice and can only be reached through the river bed. Heimaey is to Iceland as Iceland is to Europe. The main island of the Westman Islands (Icelandic: Vestmannaeyjar) is a small volcanic world of its own. You can explore most of the volcanic world in a day. The history of the island group has been greatly shaped by the two volcanoes on the small island. The extent of the last outbreak can be seen from the tip of the Eldfell volcano. My tip: I recommend staying on Heimaey for a day and a night. If you don’t stay the night, you’ll be sure to regret it. Where to stay: Guesthouse Hamar. The mountain slopes in the northwest offer a great view of the city and the two vulcanoes. A photographer I met in Iceland recommended this waterfall to me. From that moment on, it was on my must-see list. But it wasn’t until my last week in Iceland that I finally managed to check it off the list. Thjofafoss is a beautiful waterfall in a river valley. The panorama with the mountain in the background is impressive and especially worth watching at sunrise or sunset. The way to Thjofafoss can be cold and windy in the winter. You’ll have to walk the last 4 kilometers if you don’t happen to be driving a 4×4. But it’s worth the hike! 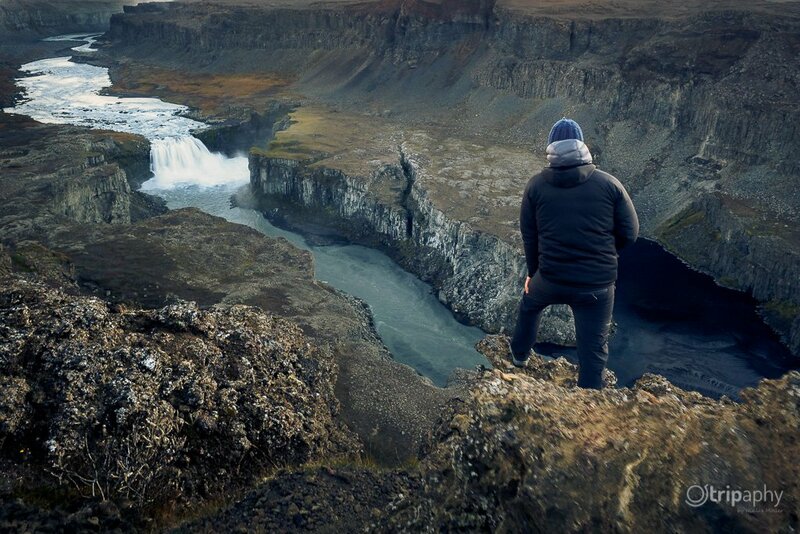 If you want to stop at Bruarfoss on your tour through the Golden Circle, you should take the whole day for the tour. 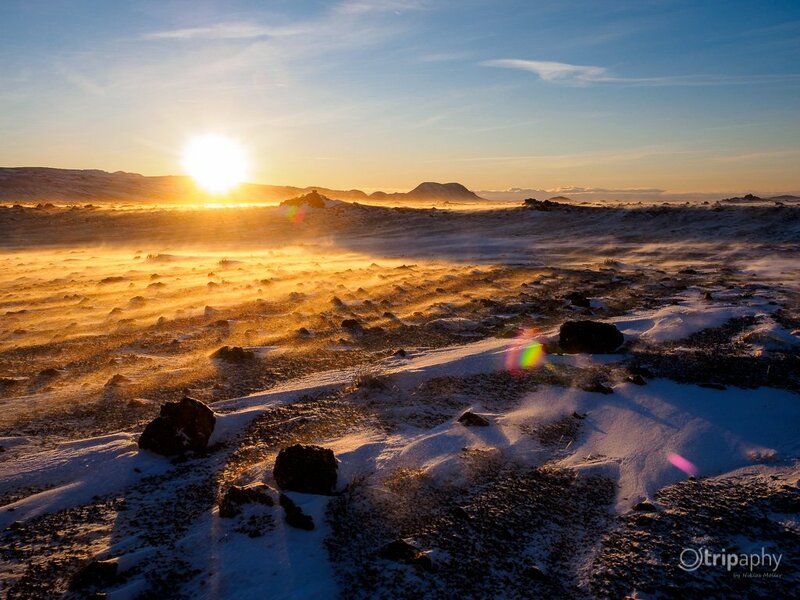 The sooner you start your tour of the Golden Circle, the better. Bruarfoss is neither the largest, the most powerful, nor tallest waterfall in Iceland and so it’s often left out. 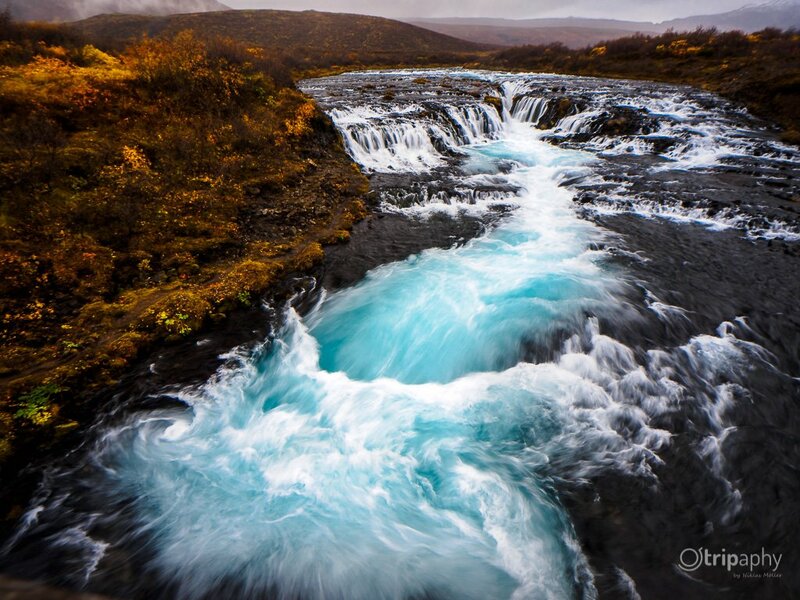 But its nature and the blue stream in the middle make it the most beautiful waterfall in Iceland. Bruarfoss is and remains my favorite waterfall. The blue stream in the middle is simply unique. The 11 tips in this posts so far are rather unknown sights in Iceland. But of course you don’t just want to check out the hidden gems on your trip – the highlights are famous for a reason, after all. So let’s take a look at Iceland’s most well-known and typical sights. 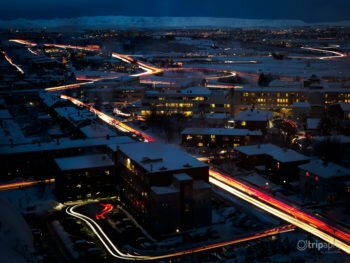 Reykjavík is the capital of Iceland and so of course it also has quite a few highlights to offer. If you want to see as much as possible in a short time, have a look at the tours on getyourguide.com for the Reykjavík region. 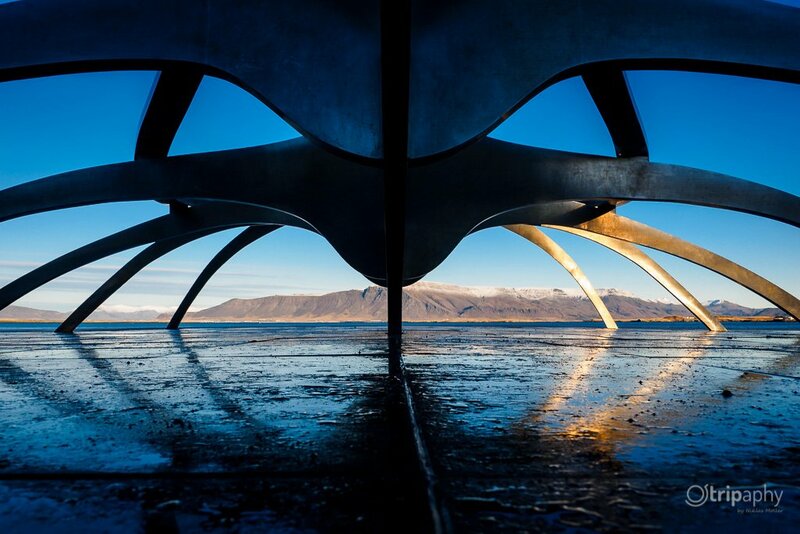 The sculpture of a viking ship is an eye-catcher and especially beautiful at sunrise and sunset. Not just the building itself is worth seeing. The roof affords you a wonderful view in all directions. Reykjavik’s concert hall is architecturally stunning. Add to that a beautiful sky, and you’ll have the perfect picture. 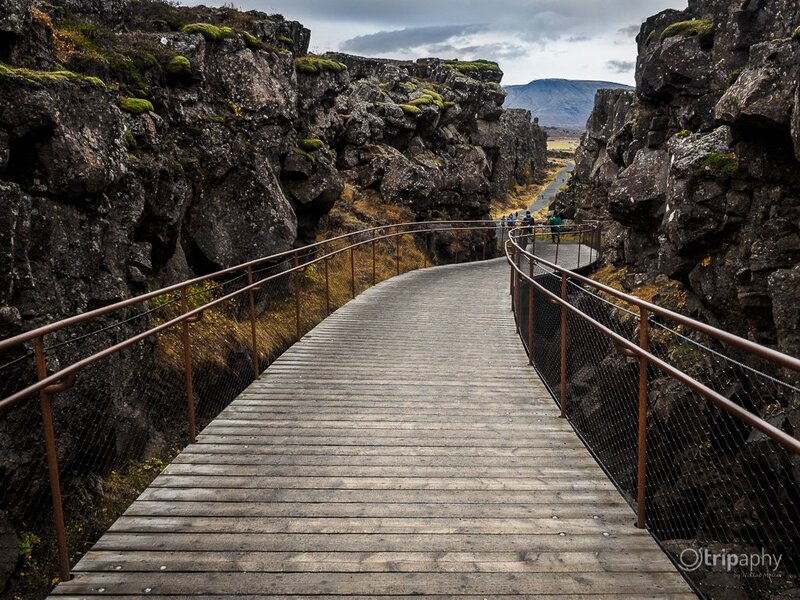 Thingvellir is a rift between the Eurasian and the North American tectonic plates. 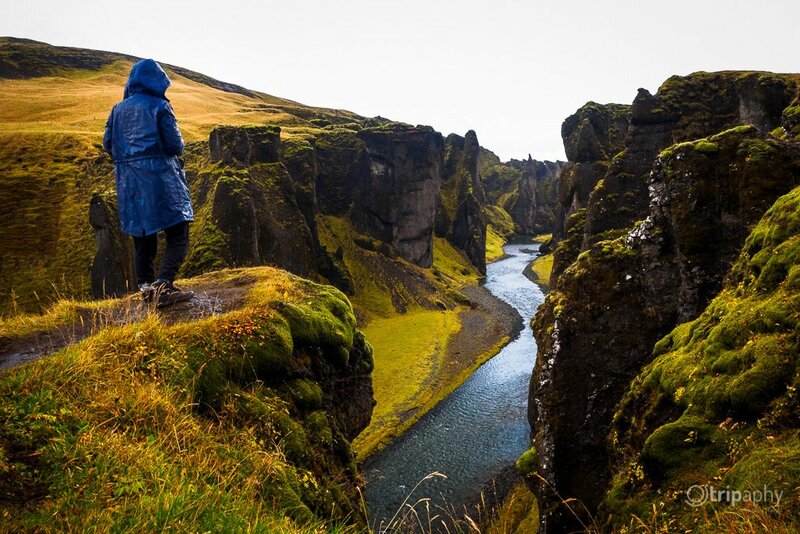 It’s particularly impressive from an elevated point of view, giving you a sweeping view of the crack running through Iceland. 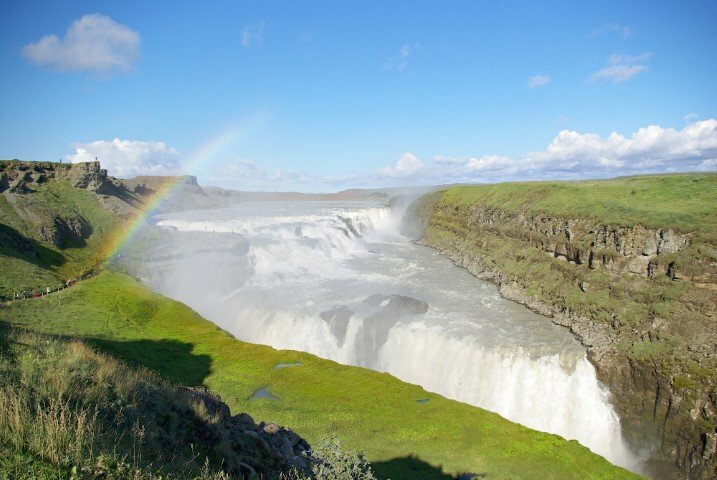 The Gullfoss waterfall is one of the most famous waterfalls in Iceland. 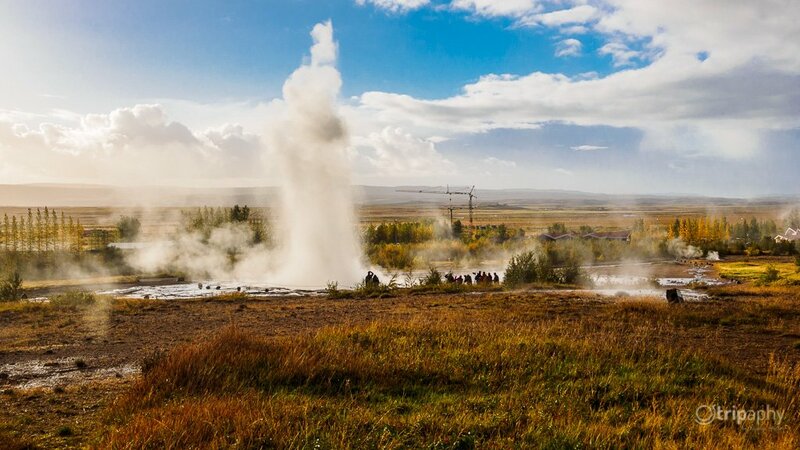 All geysers owe their name to THE Great Geysir. The English word ‘geyser’ is derived from it. In Iceland however, it’s the only one with that name. The Great Geysir erupting. To its right: Photographers lining up for a picture. Kirkjufellfoss waterfall in the background, Mount Kirkjufell off to the right. That scenery is one of the most popular pictures in Iceland. 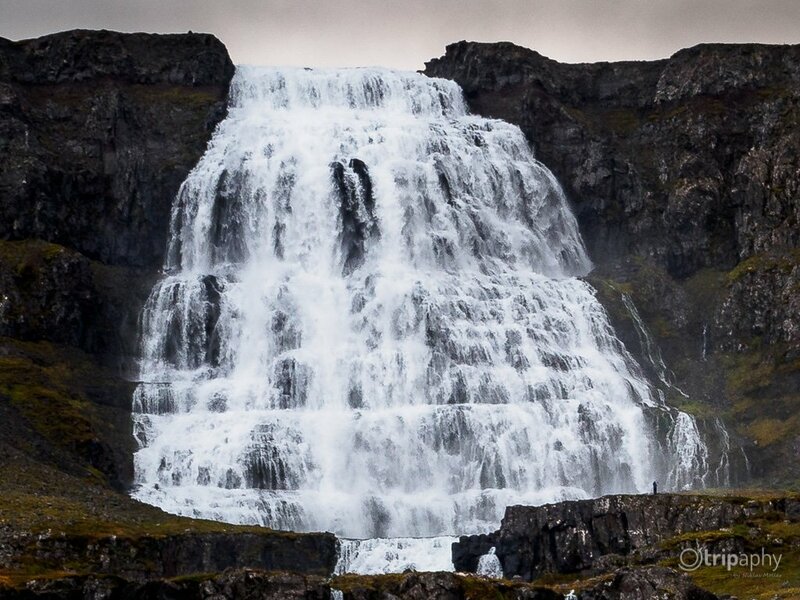 The most famous waterfall of the Westfjords. It’s often inaccessible in the winter because the roads are closed due to snow and ice. To get a feel for the sheer size of it, take a look at the person standing at the bottom right of the picture. 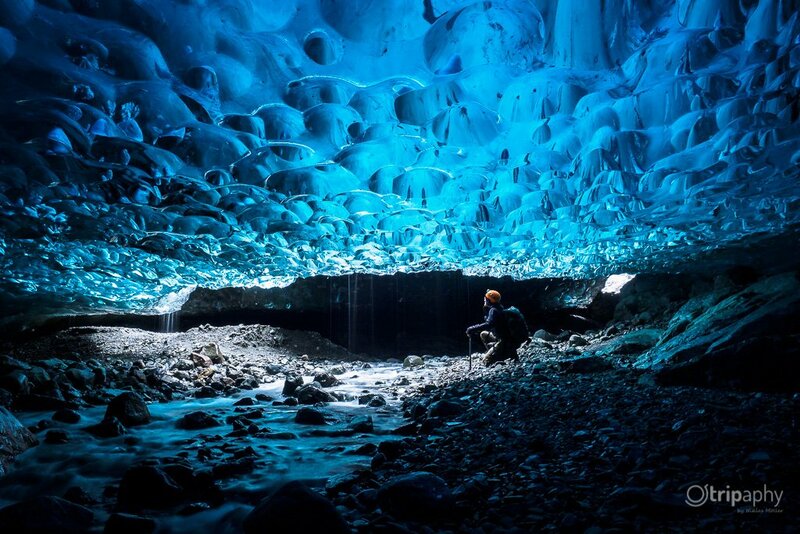 Only accessible during winter, the ice caves should definitely be on every photographer’s list. But you shouldn’t explore them on your own. That’s just dangerous and careless. Waterfall ice cave selfie. The end result. An insanely beautiful view and a fantastic memory. 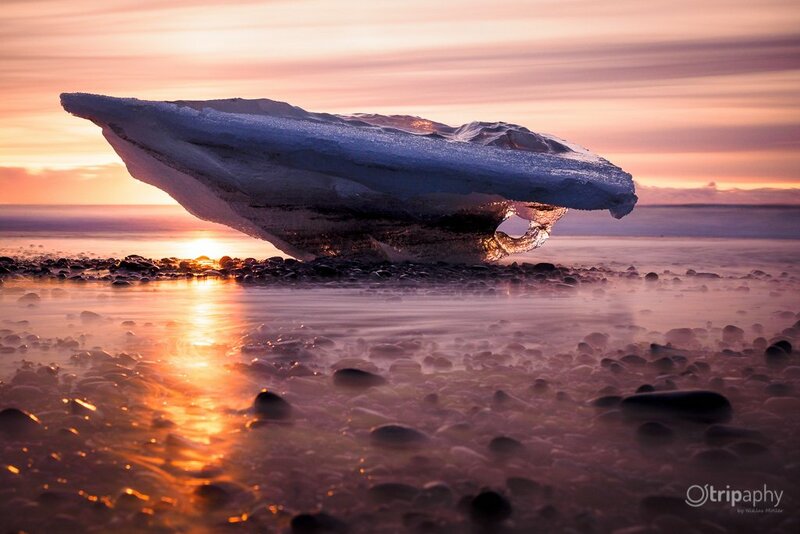 Jökulsarlon is the glacier lagoon in the southeast of Iceland and the most impressive ice mountain you’ll see when you’re on your trip along the Ring Road. There’s also a black sand beach on the other side of the road from the glacier lagoon. Ice pieces drift from the glacier lagoon into the sea and are washed up again by the tides. One of the most popular destinations for photographers. 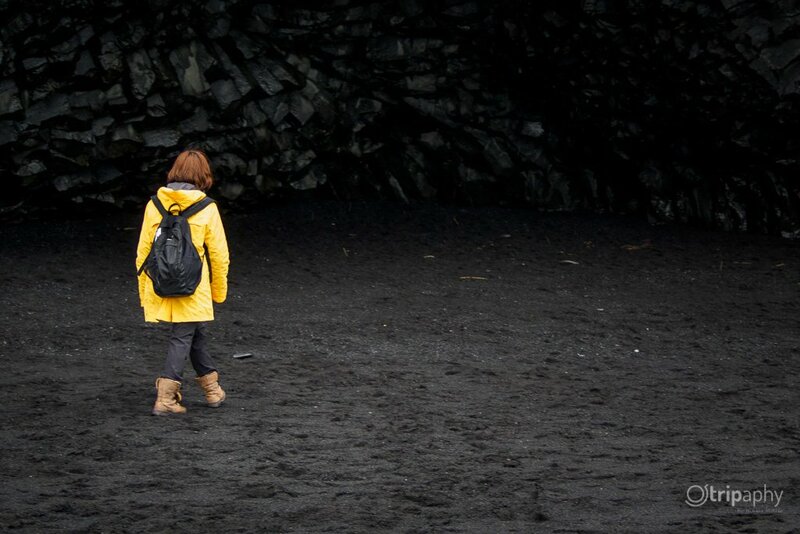 The black beaches near Vík seem almost unreal in photos. Not just the basalt cliffs, but also the beach is a must-see because of the black sand. …things get really cool when a yellow raincoat comes into view. 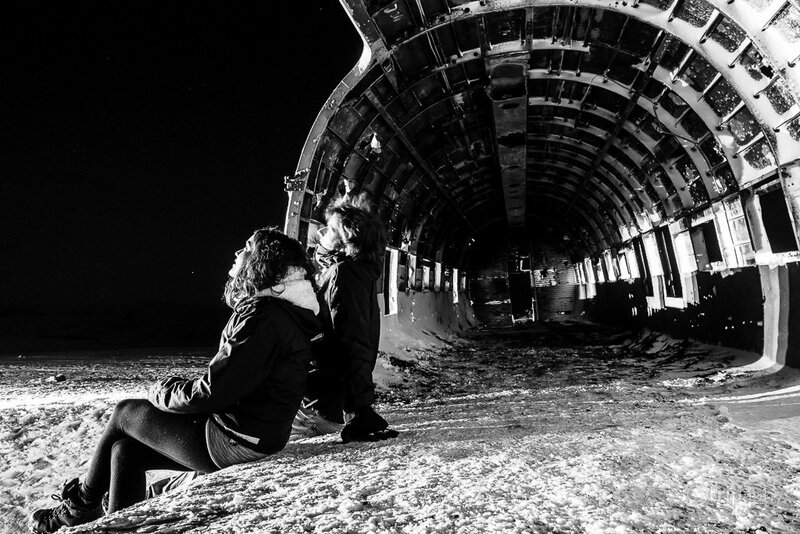 A crashed US Navy plane wreck has become a popular attraction in Iceland. But you’ll rarely be the only person there. Try going at night to avoid the crowds – it’s a great time to visit anyway. Aside from Gullfoss, Seljalandsfoss is Iceland’s most popular waterfall. There’s a path that leads right behind the waterfall. I met a lot of people in Iceland who figured they could easily make the Ring Road trip in 5 days. But without completely skipping some areas, I’d reckon that’s completely impossible. I spent my first 10 days in Iceland taking a road trip along Ring Road. Even with 10 days to spare, we still missed a lot. But if you plan well, you can see a lot in 10 days, and the whole journey gets a lot more relaxed. Now you know my personal highlights in Iceland. 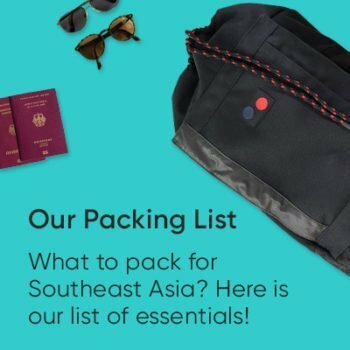 I’ve presented a total of 24 places in this post. Are those the only things worth seeing in Iceland? Hardly. The landscape is constantly changing, the weather is different every time, and there are quite a few things I haven’t seen yet, even though I spent three months in Iceland in 2015. The highlands alone are probably worth a vacation. If you’ve been to Iceland and know a place that should really be on this list, please let us know in the comments below! Do you have any questions? What are your favorite sights in Iceland? Do you have any questions? Have you ever been to Iceland and know some more hidden gems that are missing from my list? Please let me know in the comments below! 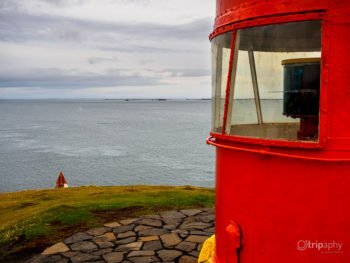 I wish you happy travels and hope this post has whet your appetite for Iceland or helped you plan for Iceland with a few tips.